Where else do people dye their main river green for St. Patrick’s Day? People in Boston, New York, and Savannah think they know how to celebrate St. Patrick’s Day, but Chicago does it like no place else. Make the memory of March 17th, 2018 last longer than your hangover when we make a special design just for your celebratory T Shirt! 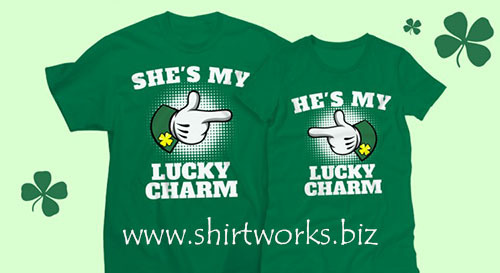 Order shirts for your company or organization and that makes St. Patrick’s Day even more fun! Send us an email at info@shirtworks.biz and give us an idea what you have in mind and we’ll respond promptly. You can attach a file if you like with artwork or logos and we’ll get right back to you.